Many of you may know about this, but I just stumbled on a German movie called The Trapp Family. Now you'd think, wouldn't you, that a German movie (yes, I mean German, and know that the Trapps were Austrian) couldn't possibly be as sappy and sentimental as The Sound of Music. Well, you'd be wrong. In fact, the two movies are very similar, and the German film was the inspiration for the American play/film. You can watch the entire German film (in pieces, with subtitles) on YouTube, and read the story about it on Wikipedia. Gregorian chant (mode II): Introit "Cibavit Eos"
I have only the faintest recollection of this event, beyond that it happened. But my parents kept the program, I still have it, and this is what was in it. It really was the Trapp family! Good heavens! So much for the "Salzburg Folk Festival." The German movie uses entirely folk or quasi-folk music. (Stille Nacht is of course a relatively recent piece whose composer is known.) At one point they sing something that brought me straight back to the John Schaum piano books for beginners with all their tunes set to silly words. I don't think anybody here could address this, not even Don Isler, but it never occurred to me that a tune with the words "Tuna fish, tuna fish, sing a song of tuna fish" etc. (I remember the whole thing to this day) could have its origin in an Austrian or otherwise Germanic folk song. 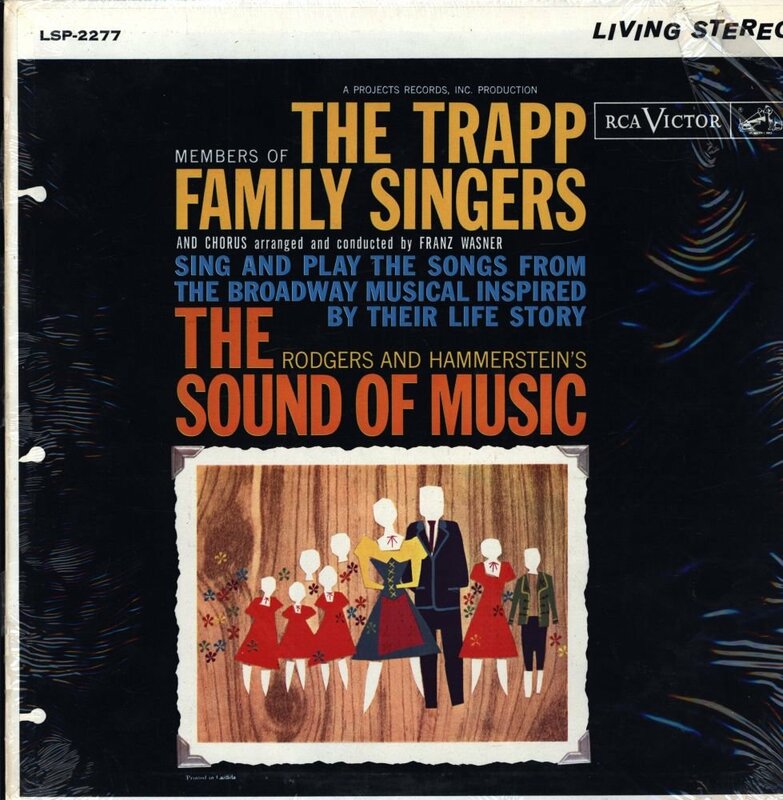 I've just found out that Franz Wasner, the bass and conductor, was originally the Trapps' priest and acted as their musical advisor, arranger, etc. for over 20 years, beginning before they left Austria. He was a composer too. The family ensemble may well have begun with folksongs but when they went public, developed a more varied repertoire, including early classical music, under Wasner's influence and reflecting his taste. I don't suppose any of that made it into "The Sound of Music."